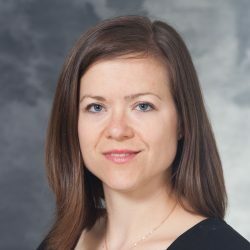 Dr. Suzanne van Landingham earned her BA at Princeton University in 2008 and MD from Johns Hopkins University School of Medicine, Baltimore, MD in 2013. She completed her ophthalmology residency training at the Wilmer Eye Institute, Johns Hopkins Hospital in 2017. Suzanne is currently the fellow in Oculofacial Surgery at University of Wisconsin (2017-2019).